One day, Usagi Tsukino, clumsy 2nd-year middle school student (8th grader), stumbles upon a talking cat named Luna. Luna tells her that she is destined to be Sailor Moon, ""champion of love and justice"", and she must search for the fabled Moon Princess. 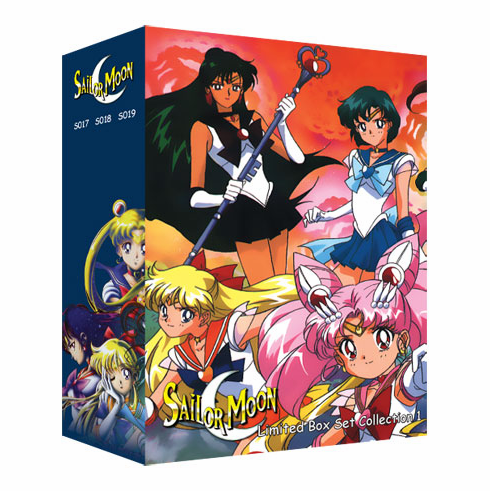 Usagi finds friends that turn out to be destined senshi as well, and together they fight to save the world from the certain doom brought upon by the Dark Kingdom. New enemies! The Sailor Scouts (Soldiers) are back on the job! Bunny/Usagi and her friends would have enjoyed the peaceful rest since their last battle, but they have been studying for their high school entrance exams! However, a new plot is forming and their new enemies plan to conquer the world by harnessing a mysterious power generated by pure hearts! Sailor Moon and the Scouts/Pretty Soldiers are in trouble, when mysterious warriors suddenly help them? who are they? And what is this new power that Sailor Moon suddenly can use against stronger enemies?